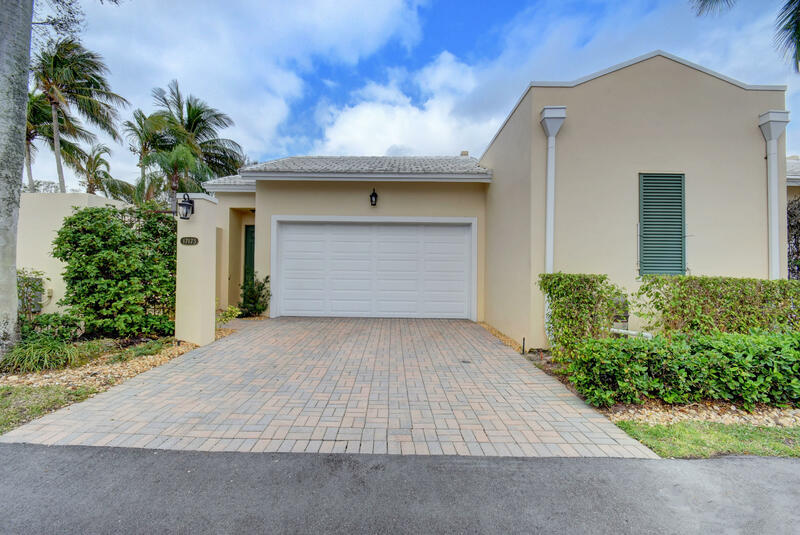 Beautifully renovated contemporary two story home in Bermuda Village at Boca Country Club. No Mandatory Membership, Master bedroom upstairs. Both bedrooms w/ensuite bathrooms. 3rd bedroom currently used as den & can easily be reconverted. Bright great room overlooks a private courtyard with heated, salt water pool. New lift master garage door opener, tons of custom garage cabinetry, durable floor finish in garage, Recently remodeled kitchen w/ Bosch appliances & floor to ceiling cabinets. Roof has been replaced. Brand new A/C unit. Private park adjacent to the home.